I'm really excited. Why, you ask? Because my sister is coming home. Amy has, over the years, moved farther and farther away from me until she and her boys found themselves in Reno, Nevada. I never really thought we'd find ourselves living near each other again, much less in the same town, but I couldn't be happier about it. I have always been close with my sisters. Amy is the "middle sister", is ten years older than me, and every memory of my childhood involves holding her hand. Now that we are both adults, she and I share countless interests and personality traits/quirks. So when I learned that she would be coming back to Iowa, I went into endorphin overdrive. Amy brings with her two amazing sons, Ethan and Keaton, who boast breathtaking personalities as well as quality babysitting potential! She will be the envy of the neighborhood with boyfriend Gabriel. Other amenities include one cat, Canella, two rabbits, and a spacious condominium with an open floor plan! As the months and weeks have slowly passed, our phone and text exchanges have gotten more frequent and more urgent as the big day approaches and details are addressed. But there was one big detail we hadn't confronted. At this point there would be no visit to Reno as she has less than a week before she arrives in Mt. 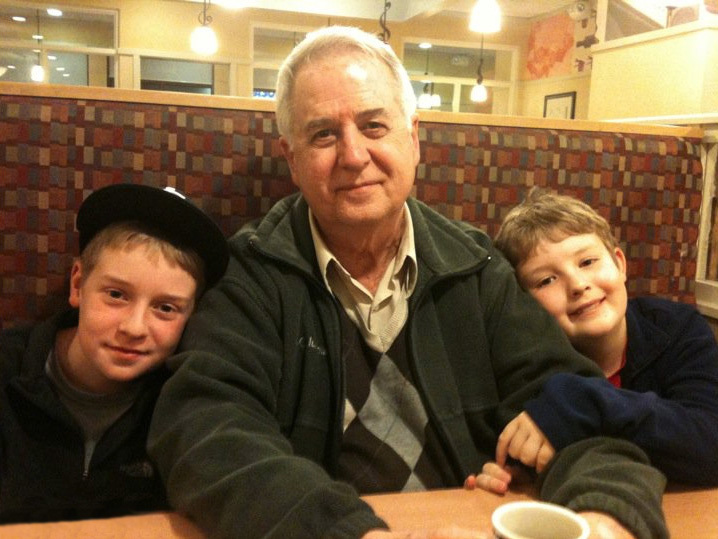 Vernon, and I trust her judgment implicitly, so I know he must be a wonderful man. But before he joined our close-knit community, I was hoping we'd have a chance to talk. And we did. Sort of. 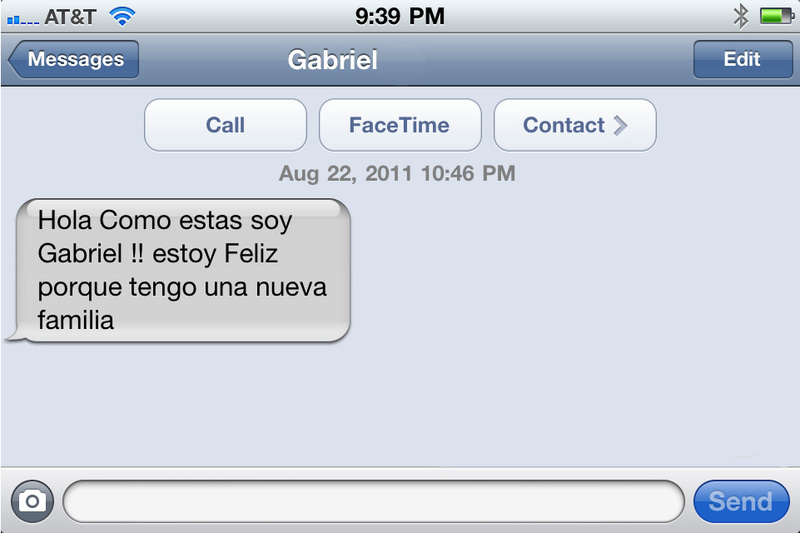 On Monday evening, I got a text message from a phone number I didn't know, and to further the confusion, I saw that the text was in Spanish. Now I did minor in Spanish in college, but just as I would not feel qualified to commit someone with my thus unused Psychology degree, I knew that my ability to respond to his text would be limited as well. His text read, "Hello, How are you? This is Gabriel!! I am happy because I have a new family. How sweet is that? I wanted to return the sentiment, so I began to pick out a response. As I fumbled through a few phrases in broken Spanish, I noticed that my phone was autocorrecting almost every single word, thwarting my efforts and causing my response to take several minutes. When it was complete, I threw up my arms and hit send. My message said, "Hello! I am very excited also! 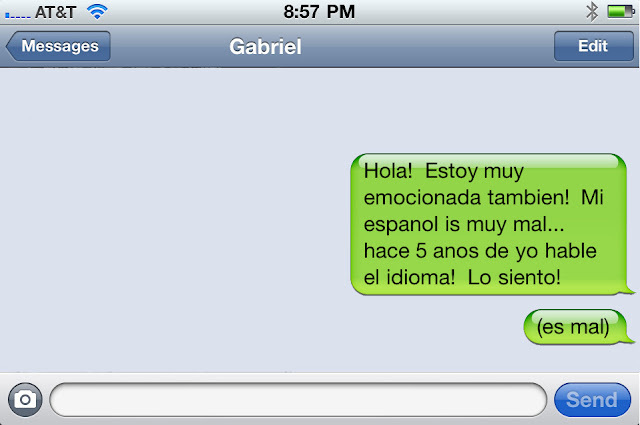 My Spanish is really bad... it's been 5 years since I spoke the language. I'm sorry!" Or something like that. But the more I thought about it, I was pretty sure I had seen some questionable vocabulary being suggested by my already questionable iPhone. I retyped the message and let it replace my words with whatever ones it wanted, and when it was done I was left with such a jumbled paragraph, I just had to call my sister and share it with her. So I dialed her number, and when she answered, I almost immediately started laughing. 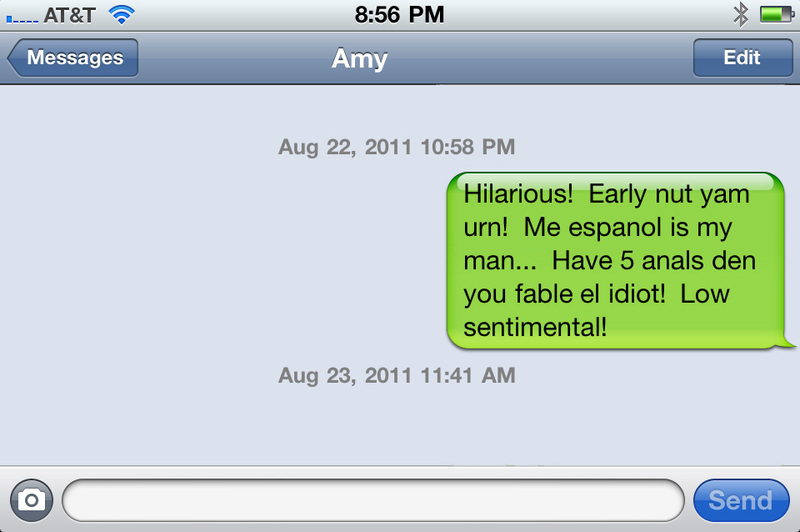 It didn't help that my phone had replaced "Hola" with "Hilarious", either. I struggled through a conversation with her that sounded just as foreign as my disaster of a text. "Amy, you've got to hear what my text to Gabriel would have sounded like if I hadn't fixed it! Ready?" (nonstop laughter) "Just a second!!" (More nonstop laughter). After a few moments of near silence as tears streamed down my face, her response sent me over the top. "Mary, I've got to ask you... are you drunk?" "No, not drunk. Just laughing!" I gave up and simply texted her my autocorrected message, since I knew I'd never get through it on my own. Maybe you had to be there. But either way, I think there's no denying that my phone either has a seriously perverse sense of humor or is highly intelligent and secretly taunting me. No matter the motive, however, I'm guessing I'll never live this one down. But all is well that ends well, and on Monday evening this story will end very well. Four people that I care greatly about will be close to us and I can't wait for the wonderful times that are to come. The quieting, Amy. Te quiero, Amy. I was just laughing hysterically. That is awesome!! I can totally picture you crying/laughing! Ahhh...memories and good times. Little do people know all it takes is a few mountain dews to induce the crazy giggles, lol. Shawna- Your brother needs to realize what a blessing it is to have family close! But maybe it has more to do with how similar you are. So when are you taking up fishing and flipping Craigslist purchases? Stephanie- You know it! It totally felt like a high school 2am giggle fit. I think Joel's dad's opinion of me dropped a few notches. I might have even snorted a little. Awesome! I check DYAC every day for inspiration. Not sure what dictionary the hilarious comedian at Apple decided to use, but I salute him nonetheless! Hope things are well- great blog!